Anthony and Yoshi’s Global Communication School. Helping people to work together around the world. Simple and effective English communication for everyone. Improve business communication with the world’s most popular English exam for education. Presentations, meetings, negotiations, cross-cultural management and leadership training. You can make an immediate improvement to your global communication ability by using your existing knowledge and our techniques. Through use of English, business communication skills and cultural awareness you can maximize your individual effectiveness and create value with your partners. We bring a truly international environment where everybody can participate and progress. Anthony and Yoshi: contrasting backgrounds and experience, but a shared commitment to excellence in communication. Anthony is a business communication consultant who has provided training at over a 100 companies across Japan. Yoshi is an executive coach who has held senior level management positions. Core English is a simplified way of expressing yourself for business communication. It is easy to learn and use. Anybody can communicate more effectively using Core English. If you only know a few words, you can use them to make your point in English in a business context for the first time. If you already have some ability, Core English can help you organize your ideas far more effectively. Introduction comes through an initial group session. The length is adjustable, but 2 hours is the minimum and 4 hours or more is ideal. It can be held at a location of your convenience. The number of participants is also flexible. Core English works well with both small and large groups (more than 20 is quite possible). Input sessions are generally highly energetic and interactive with plenty of rotation amongst the participants. Feel free to make groups of mixed abilities: Core English is designed to be useful for any level of English speaker (it has even been used successfully by native speakers). A coaching program provides practice. There are various tools available for this. Firstly, we counsel the participants individually about building a study plan for practicing Core English and finding opportunities for using Core English in their business lives. Secondly, we provide regular group workshops to sharpen their Core English skills. Thirdly, we have experience in running remote programs in which students can practice and receive feedback on Core English. Participants confirm ownership of their skills in an output group session. During this, students will review the main themes of Core English. In addition, they will give feedback on how they have been able to use Core English in their actual business lives since the initial input session. They also have an opportunity to take ownership for their continuing development by making a commitment statement which clearly defines a personal strategy for improving their communication skills. The elements of the above program are highly flexible and adaptable to client needs. Core English is designed to have an immediate impact. The whole program can be completed in 3 months. Even just holding an initial input group session will have a significant positive effect on communication skills. One leading logistics company wanted a practical English course for participants who were being earmarked as future global managers. The problems were that the participants had widely different English levels and they worked in separate locations. We held a one-day large group input session with Core English in the morning followed by one-on-one counseling in the afternoon. In the counseling session participants made plans for their on-going English study and Core English usage opportunities. Three months later the participants reassembled for a half-day seminar in which they shared their Core English usage experience and success stories. They reviewed, re-sharpened and practiced their Core English skills. The session ended with each participant making a final commitment statement. Click here for more detailed feedback. The following video demonstrates the significant and immediate communication improvement that is possible using Core English. Before being introduced to Core English, a participant is asked to make a speech explaining why he enjoys his favorite food. One hour into a group Core English introduction session, he is given the chance to apply Core English to his initial topic. The IELTS exam, unlike TOEIC, tests English communication ability equally in reading, writing, speaking and listening. To be successful in IELTS, you need to be able to develop many communication skills that are important for business. In this way, it is much more a test of English communication ability than just English ability. We provide a comprehensive training program as well as input and output tests. What is more, we also make detailed, individualized reports on program participants. The entrance to the program is on input test. This is held in controlled conditions, using authentic materials in the same manner as an actual IELTS test. The test can be conducted in one day or half a day depending on logistics and number of participants. Following the tests, we prepare individual evaluation reports. These evaluation reports are far more detailed than the official IELTS results and include specific comments on the participants’ use of English. What is more, we have the ability to deliver these evaluations to much tighter deadlines than the official IELTS results service. Participants can then improve their communication skills through a program of IELTS ability development. The development program improves speaking and listening through weekly face-to-face workshops or, if more convenient, Skype contact. Reading and writing skills are enhanced through a regular submission program using authentic exam material. To accelerate the development of participants, detailed feedback is available throughout. Participants exit the program with an output test. Apart from different test materials, the conditions are the same as the input test. Again, detailed evaluations can be produced within a short amount of time. Although scheduling is flexible, genuine improvement is quite possible by holding the whole program (entrance, development and exit) within a 3-month time frame. These are intensive sessions that target rapid improvements in specific communication situations. Anthony Carver is from London, England. 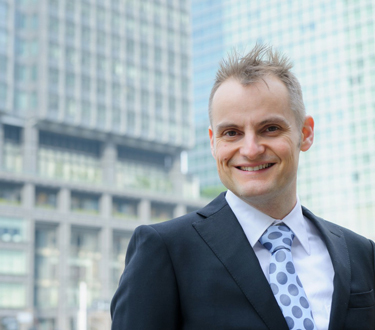 He began his career in education in 1997, first, as an English teacher in London and, since coming to Japan in 2000, as a business communication consultant. He has an M.A. in Japanese Language and Society from Sheffield University. His dissertation focusing on human resource management in foreign affiliated firms in Japan was published in 2011. In addition, he graduated from Liverpool John Moores University with a B.A. in Media and Cultural Studies also holds a Cambridge TESOL certificate. He has provided training at over 150 companies throughout Japan across all types of industry, leading courses in business skills such as presentation, meetings and negotiation. 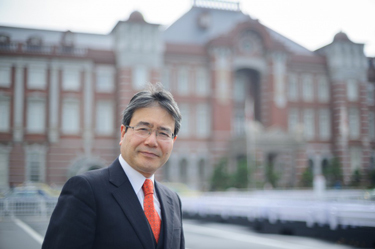 Yoshimoto Oikawa is an executive coach, mentor and management trainer with more than 20 years’ experience in business. He has occupied managerial positions, many at director and senior levels, for foreign companies (British and also German) in the insurance/finance sectors. Yoshi established Universal Brains Ltd in 2005 in Japan and has built up a solid portfolio of blue chip clients, both Japanese and foreign. Yoshi now specializes in inter-cultural training for business. This is highly interactive HR strategy building. He is particularly focused on the management of a globalized HR portfolio, helping organizational development and top-talent management for major international companies.